I suppose before my hairdressing course I figured that hair products just weighed hair down and made it crispy. Obviously if that was the case with every product then nobody would use them but it's just taking that risk on the days that you decide to use them to make your hair look good. 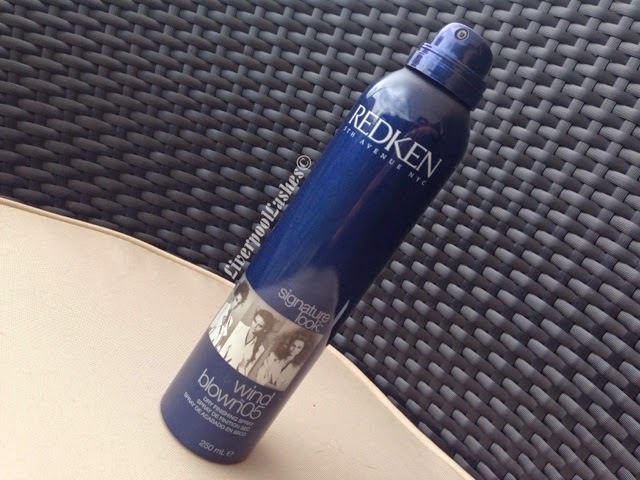 I've been using Redken Wind Blow 05 Dry Finishing Spray with my Sleep In Rollers. I find that it really holds my style, has a pleasant unisex sort of fragrance and the best part is that it seems that you can spray a lot of it without it making my hair crunchy or hard. Today as I write this, I am wearing my hair in an updo done by a hairdresser friend and she sprayed an awful lot in there. I have to admit I was worrying that it may make my hair look crispy and no longer soft but it's perfectly fine and staying in place. The bottom line is... I'm giving this product a massive thumbs up, I would use in on my clients and I will definitely be repurchasing it.